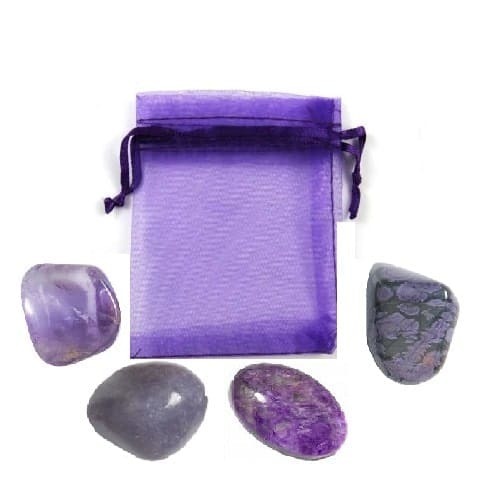 Mental Clarity of Indigo: this psychic pouch offers the deep unconscious connection from purple and the cooling frost from blue. It allows you to withdraw to obtain peace, quiet, with freedom to stretch boundaries. Indigo is also the source for intuition, clairvoyance, extrasensory perception. 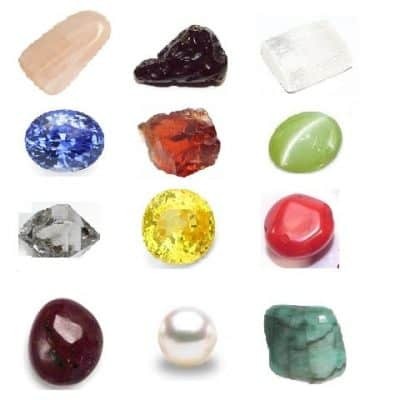 We use 4 choice, indigo crystals for meditation, grids and healing. 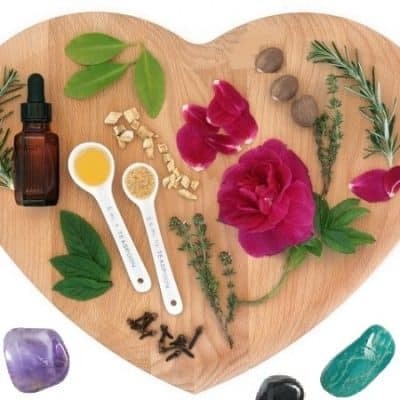 Including amethyst, lepdiolite, charoite and iolite, complete cleansing and healing instructions for use. 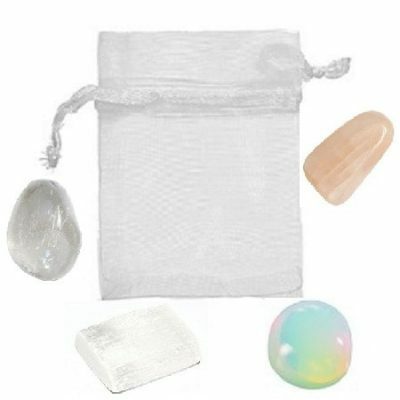 Crystal pouches are one of the most interesting and oldest remedies. Use your pouch by carrying it with you. 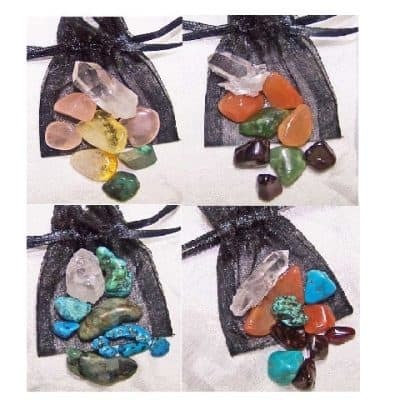 Hang one or more of your crystals around your neck, in your purse, pocket or carry in your hand. Place the pouch in any room where you need it the most or hang it on the door handle. Create a circle with your stones as a sacred space or meditation circle.